Benjamin Alvord, Jr. was born on 15 May 1860 in Washington, DC. He was the son of Brigadier General Benjamin Alvord who distinguished himself in the Florida Indian Wars, the Mexican War and the Civil War. Benjamin Jr. graduated from the U.S. Military Academy in 1882 and from the Infantry-Cavalry School at Fort Leavenworth, KS, in 1887. He was commissioned a Second Lieutenant, 20th U.S. Infantry on 13 June 1882. During the Philippine Insurrection he served as a Regimental Adjutant and also as an Adjutant General of a Division in the field, and was brevetted for "conspicuous gallantry" in action against insurgent forces at Cainta, Luzon, Philippine Islands, 16 March 1899. Among other important assignments held by Alvord was that of Instructor at the Infantry and Cavalry School in 1894; Instructor at West Point from 1887-91; Adjutant General of the Department of Northern Luzon in 1901; Chief of Staff in the Expedition to Vera Cruz in 1914; and Adjutant General of the Western Department in 1917. 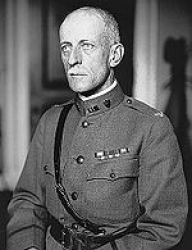 He served as Adjutant General of the American Expeditionary Force in France until he returned to the U.S. in 1918, due to illness. 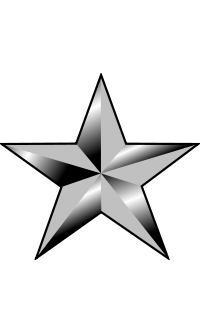 After his return from service in France, General Alvord served as Adjutant General of the Ninth Corps Area, San Francisco, and as an Assistant to the Adjutant General of the Army in that city. Alvord retired from the Army as a Brigadier General in 1924. He spent the last two years of his life at the Soldiers Home, where he was stationed as Secretary of its Board of Governors. Brigadier General Benjamin Alvord, Jr. died on 13 April 1927 at the Soldiers Home. He is buried at Arlington National Cemetery in Arlington, VA. His wife, Margaret Alvord (1864-1944) is buried with him. His grandson, Benjamin Alvord Spiller, USMA Class of 1941, is buried nearby in Section 4, as is his son-in-law, Oliver L. Spiller, Brigadier General, U.S. Army (1887-1981) and his daughter, Margaret Alvord Spiller (1891-1930).